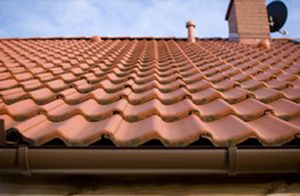 We cover anything from replacement roof tiles to a new roof. We are accredited installers and repairers of Velux roof windows. We work across Liverpool, Chester, Stockport, Manchester, Merseyside, ando throughout the rest of the UK. At Annadale Roofing we provide a comprehensive range of roofing services covering Liverpool and the Merseyside area, Chester, Stockport and Manchester areas, but also nationally throughout the UK. Whatever your roofing needs, from replacing a broken or slipped slate, right though to a complete strip and recover of an ageing and dilapidated roof, or upgrading your flat roof, we are here to provide the roofing service you need. We also offer a Velux service for your roof. Have you recently had a loft conversion or extension and are looking for the ideal windows to finish it off, or do you want additional windows to brighten up a room? Well, Velux roof windows are the ideal choice for you. Annadale Roofing are accredited installers and repairers of Velux roof windows, and will transform your home. With over 30 years' industry knowledge and experience and with all our staff undergoing continuous training, we make the perfect choice of roofing contractor. For more information about our roofing services, please don't hesitate to get in touch.